Advances in neuroscience suggest that a focus on self-regulation in education can enhance children’s engagement in learning and establish beneficial academic trajectories in the early elementary grades. This study experimentally evaluated an innovative approach to the education of children in kindergarten that embeds support for self-regulation, particularly executive functions, into literacy, mathematics, and science learning activities. This paper provides a review of research related to disparities in educational outcomes for African American students in the United States and research-based practices for closing the educational achievement gap. The paper presents National Assessment of Educational Progress (NAEP) data trends documenting the historic and persistent disparities in educational outcomes among African American students and other student groups. The author reframes the problem of disparities in educational achievement as an issue of unequal opportunity to learn (a longstanding "opportunity gap” in the U.S.) in an effort to help stakeholders understand issues related to racial disparities in educational achievement and practices for creating more equitable schools, an essential investment in the academic and life trajectories of African American students. Promising practices from high performing, largely African American, low-income schools are discussed. The purpose of this analysis was to examine achievement gaps on fractions for very-low performing students as a function of whether they receive inclusive fraction instruction or specialized fraction intervention and with the shift to Common Core State Standards (CCSS). In three randomized control trials conducted in 3 consecutive years, 203 students who scored at or below the 10th percentile in mathematics (mean standard score ~75) at the start of fourth grade were randomly assigned at the individual level to 12 weeks of inclusive fraction instruction or specialized fraction intervention. In Year 1, the fourth-grade mathematics curriculum was guided by initial state standards; in Years 2 and 3, the state was transitioning to CCSS. In each of the 3 years on each measure, results indicated significantly stronger learning and markedly smaller post-intervention achievement gaps for specialized fraction intervention than for inclusive fraction instruction. Yet, the size of achievement gaps grew over the years in both conditions, as CCSS increased the depth and challenge of the fraction curriculum and produced differentially stronger learning in not-at-risk classmates. Implications are discussed in terms of the provision of services for students with learning disabilities in the era of CCSS and the meaning of access to the general education curriculum. Student engagement with school symbolizes efforts toward learning and is one of the strongest predictors of academic success. However, returns to engagement vary across racial and ethnic groups. Scholars have established that human agency is constrained by organizational environments, but they have not adequately assessed whether the advantages associated with engagement and the disadvantages associated with disengagement accrue evenly to groups of students depending on the educational environment. Using ECLS-K data, we examine how one aspect of schools’ organizational culture–Collective Pedagogical Teacher Culture–moderates the relationship between engagement and mathematics achievement for students of different racial/ethnic groups in elementary school. This study suggests that exhibiting the attributes that are valued in American society, i.e., academic engagement or, more abstractly, a strong ethic toward working academically, is not sufficient for the mathematics achievement of many students—especially minority youth. Students must study in environments that nourish and capitalize upon those attributes so that diverse students can enhance their academic trajectories. Teachers are critical for student learning, and when teachers perceive the presence of Collective Pedagogical Teacher Cultures, returns to student engagement are higher. A meta-analyses was undertaken to determine the factors that are most related with reducing the achievement gap. The meta-analysis included 30 studies that examined attempts to bridge the achievement gap between White students on one hand and Black and Latino students on the other. The results indicate that several factors are associated with a reduced achievement gap that could help bridge the gap. A number of these factors go beyond the bounds of the school. These findings suggest that social scientists may need a broad and multidisciplinary approach to the achievement gap, in which they consider a variety of factors can potentially reduce the gap. In addition, the results suggest that social scientist may consider combining educational, psychological, and sociological factors to develop a more comprehensive approach to narrowing the achievement gap. The significance of these results is discussed. This study used a statewide longitudinal sample to examine mathematics achievement gaps and growth in students with and without disabilities and to examine the impact of different methods of determining disability group membership on achievement gaps and growth. When disability status was determined on the basis of special education placement each year, the achievement gap was larger across grades than when the subgroup of students with disabilities (SWDs) was defined more broadly, including students who had exited special education or who were in special education anytime between Grades 3 and 7. Regardless of the identification criteria, the SWD subgroup showed lower average achievement and slower growth than students without disabilities. The results suggest that the present way of identifying the SWD subgroup in reporting achievement outcomes may be biased and that even students who exit special education continue to be at risk for lower mathematics achievement. The achievement gap between African American and European American youth is a pervasive problem in the United States. This study explored how achievement values and behavioral engagement affect the academic attainment of an academically at-risk sample of 167 African American youth in late elementary school. Results indicate that achievement values do not have a significant influence on engagement or achievement in late elementary school. However, behavioral engagement significantly influenced math achievement from Grades 4 to 5. The implications of these findings are discussed. Despite numerous studies on parental involvement in children's academic schooling, there is a dearth of knowledge on how parents respond specifically to inadequate academic performance. This study examines whether (1) racial differences exist in parenting philosophy for addressing inadequate achievement, (2) social class has implications for parenting philosophy, and (3) parents' philosophies are consequential for children's academic achievement. Schools with very few and relatively low-performing marginalized students may be most likely to trigger social identity threats (including stereotype threats) that contribute to racial disparities. This study tests this hypothesis by assessing variation in the benefits of a self-affirmation intervention designed to counteract social identity threat in a randomized trial in all 11 middle schools in Madison, Wisconsin. Join Pulitzer Prize-winning columnist Clarence Page as he tells the story of Amistad Academy, a charter school founded in 1999. Its goal? To close the persistent and dramatic achievement gap between minority students and white students in America's public school system. See how Amistad did it. And, more important, how other public schools can do it, too. The Education Trust is a nonprofit organization that promotes closing opportunity gaps by expanding excellence and equity in education for students of color and those from low-income families from pre-kindergarten through college. Through research and advocacy, the organization builds and engages diverse communities that care about education equity, increases political and public will to act on equity issues, and increases college access and completion for historically underserved students. 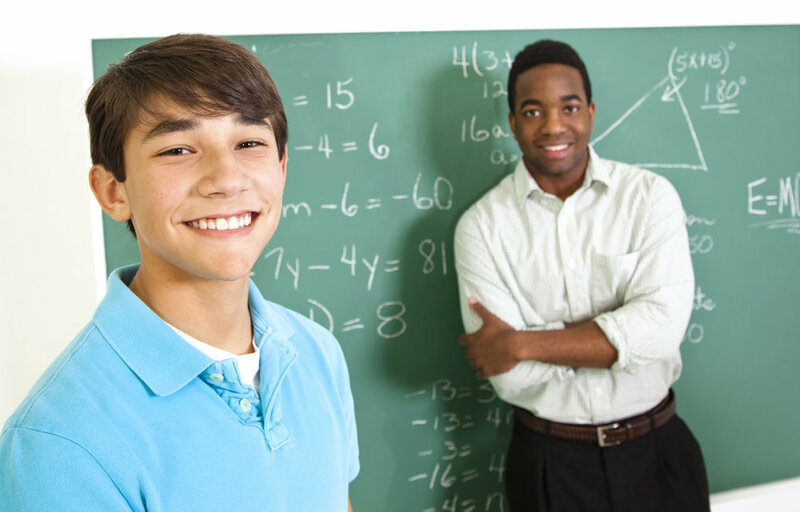 Minority Student Achievement Network (MSAN) is a national coalition of multiracial, suburban-urban school districts that have come together to understand and eliminate achievement/opportunity gaps that persist in their schools. This revised guide outlines 50 strategies for developing high-performing schools. Emphasizing educational parity for all students, the book is organized around six standards: (1) Teach a well-crafted, focused, valid, and clear curriculum, (2) Align assessments, programs, and instructional resources with curriculum, (3) Promote student equality and equity, (4) Focus on mastery learning and effective teaching strategies, (5) Provide resources for establishing curriculum expectations, monitoring, and accountability, and (6) Institute effective district and school planning, staff development, and resource allocation to create a quality learning environment. It seems to be a common-sense argument that, if teachers know how to teach reading, or math, or any other subject, and if schools emphasize the importance of these tasks and permit no distractions, children should be able to learn regardless of their family income or skin color. But this perspective is misleading and dangerous. It ignores how social class characteristics in a stratified society like ours influence learning in school. For nearly half a century, the association between social and economic disadvantage and the student achievement gap has been well known to economists, sociologists, and educators. Most, however, have avoided the obvious implication of this understanding, that raising the achievement of lower-class children requires that public policy address the social and economic conditions of these children's lives, not just school reform. The author provides practical strategies that will empower any educator in addressing the black white achievement gap in schools. 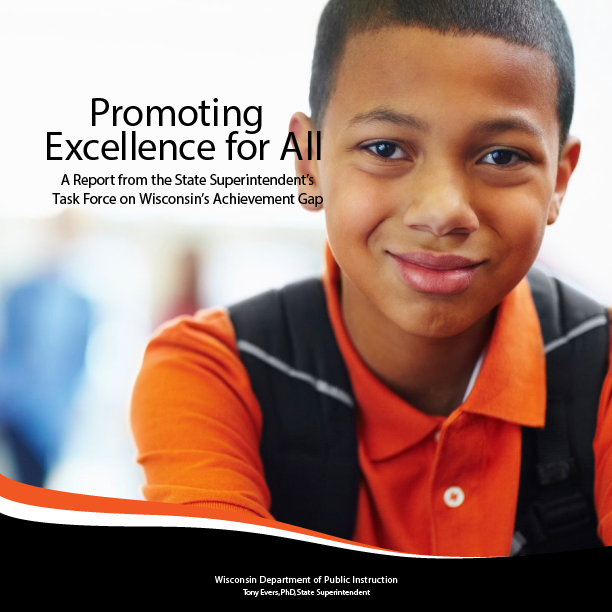 Anderson recognizes the racial and economic disparities in education and highlights current statistical trends that illustrate the effects of the achievement gap. Anderson emphasizes powerful practical strategies and tips in educating high poverty learners that educators can implement immediately in the classroom. Anderson's book on closing the achievement gap is a must read for educators who face the daily challenge of reaching and teaching high poverty students who are often left behind. Unless we believe that those who have more are inherently superior to those who have less, we should be troubled by the fact that patterns of achievement are often fairly predictable, particularly with respect to students race and class. In Creating the Opportunity to Learn, the authors help navigate the turbid waters of evidence-based methodologies and chart a course toward closing (and eliminating) the academic achievement gap. Turning a critical eye to current and recent research, the authors present a comprehensive view of the achievement gap and advocate for strategies that contribute to the success of all children. To arm educators with the tools necessary to close the achievement gap, this straightforward guide blends the Five Essential Elements of Cultural Proficiency with the Five States of Mind of Cognitive Coaching. It offers a practical strategy for being mindfully attuned to—and leveraging—cultural diversity to optimize student learning. Boosting educators’ cultural confidence and consciousness while honing their coaching skills, this interactive resource features: (a) Action-planning worksheets, (b) Reflective questions, (c) Coaching maps and conversation vignettes, and (d) Real-life examples through a composite case story. In The Global Achievement Gap, education expert Tony Wagner situates our school problems in the larger context of the demands of the global knowledge economy. He illustrates that even in our best schools, we don't teach or test the skills that matter most for the twenty-first century. Uncovering what motivates today's generation to excel in school and the workplace, Wagner explores new models of schools that are inspiring students to solve tough problems and communicate at high levels. An education manifesto for the 21st century, The Global Achievement Gap is a must-read for anyone interested in seeing our young people achieve their full potential, while contributing to a strong economy and vibrant democracy. The updated 2014 edition includes a new chapter discussing changes in education since the 2008 financial crisis, ethics in education, and recent initiatives such as the Department of Education's Race to the Top program and implementation of the Common Core. The Opportunity Gap aims to shift attention from the current overwhelming emphasis on schools in discussions of the achievement gap to more fundamental questions about social and educational opportunity. The achievement gap looms large in the current era of high-stakes testing and accountability. Yet questions persist: Has the accountability movement—and attendant discussions on the achievement gap—focused attention on the true sources of educational failure in American schools? Do we need to look beyond classrooms and schools for credible accounts of disparities in educational outcomes? This book reintroduces the overlooked central issue in educational inequity: the lack of opportunity that many social groups face in our common quest for educational attainment. This book addresses a crucial issue in teacher training and professional education: the need to prepare pre-service and in-service teachers for the racially diverse student populations in their classrooms. The book aims to help practitioners develop insights and skills for successfully educating diverse student bodies. The book centers on case studies that exemplify the challenges, pitfalls, and opportunities facing teachers in diverse classrooms. These case studies―of white and African American teachers working (and preparing to work) in urban and suburban settings―are presented amid more general discussions about race and teaching in contemporary schools. In this groundbreaking book, co-editors Pedro Noguera and Jean Yonemura Wing, and their collaborators investigated the dynamics of race and achievement at Berkeley High School–a large public high school that the New York Times called "the most integrated high school in America." Berkeley's diverse student population clearly illustrates the "achievement gap" phenomenon in our schools. Unfinished Business brings to light the hidden inequities of schools–where cultural attitudes, academic tracking, curricular access, and after-school activities serve as sorting mechanisms that set students on paths of success or failure. Gary Howard outlines what good teachers know, what they do, and how they embrace culturally responsive teaching. Howard brings his bestselling book completely up to date with today’s school reform efforts and includes a new introduction and a new chapter that speak directly to current issues such as closing the achievement gap, and to recent legislation such as No Child Left Behind. With our nation’s student population becoming ever more diverse, and teachers remaining largely White, this book is now more important than ever. A must-read in universities and school systems throughout the country, We Can’t Teach What We Don’t Know continues to facilitate and deepen the discussion of race and social justice in education. Making a case for the “fierce urgency of now,” this new edition deepens the discussion of race and social justice in education with new and updated material. Aligned with our nation’s ever more diverse student population, it speaks to what good teachers know, what they do, and how they embrace culturally responsive teaching. This essential text is widely used in teacher preparation courses and for in-service professional development. New for the Third Edition: (a) A revised Introduction that places the book in the context of the 50th anniversary of the 1963 march on Washington; (b) An updated analysis of White social dominance, bringing in Critical Race Theory and reflecting on the racist reaction to the election of our first Black President; (c) More detail to the White Identity Orientations model, bringing in the personal life experiences of several contemporary White racial-justice activists; (d) A new section, “The Whiteness of School Reform,” demonstrating how White social dominance drives much of the corporate school reform movement; (e) A richer discussion of the seven principles for Culturally Responsive Teaching, drawing lessons from the author’s transformative work with school districts throughout the country; (f) An expanded Reflection and Discussion Guide authored by two educators who have been using the book in professional development sessions for many years.